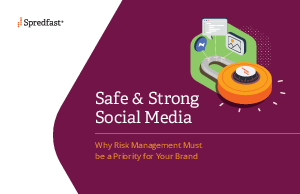 This white paper will help you understand the opportunities and risks your brand faces on social, and what you can do about them. You can face the responsibility your brand has on social with as much hope as you do the opportunities social can provide. You just need to know how.